At home, in the workshop or on site, driving any sort of screw is a fundamental way of joining materials together. 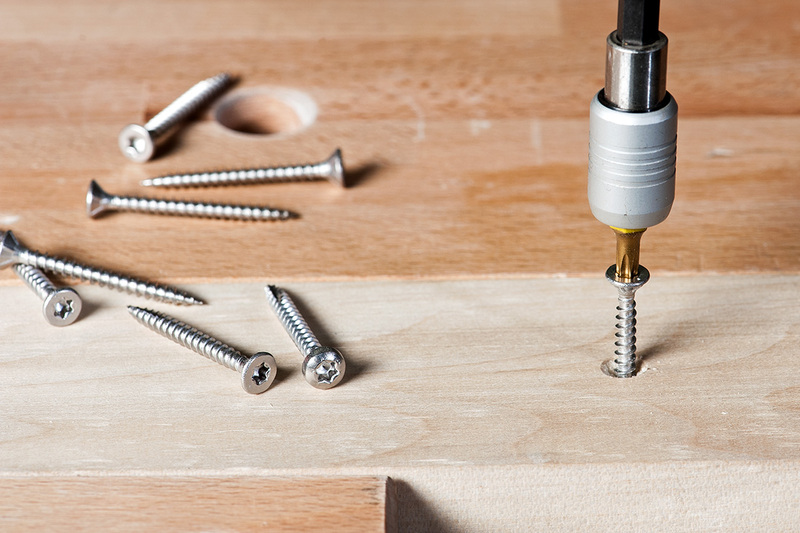 Done correctly, using the right screwdriver bits, screws make an attractive, strong and foolproof method of construction. But in order to do a good job, the screws must be driven correctly. Badly driven screws may split the timber, the driving recess may become mangled (making them difficult to remove at a later date), or in the worst possible case, one or more of the screw heads may shear off, causing further work and unending complications. You can’t drive screws efficiently if the screwdriver bits don’t accurately fit the head. Provided it’s the right size for the screw’s recess, a bit will continue to drive effectively until it starts to wear or the force applied to the screw is not directly in line with the shank. In this situation, the screwdriver bits don’t make complete contact and will result in ‘cam out’. This is a process by which the screwdriver slips out of the head of a screw as the torque turning the screw exceeds a certain amount. ‘Cam out’ also occurs where the effort needed to force the screw into the wood is greater than the torque applied to make it turn. The result in either case is damage to the screw recess and the bit; in the worst case scenario, too much torque applied to a screw which is reluctant to turn will shear off the head. A slot was the traditional type of method for driving screws when they were initially developed and it is little used today except for brass countersunk screws. The tip of the driving bit must be an exact fit in the slot for them to turn correctly; an ill-fitting bit will cause instant damage to the screw head. 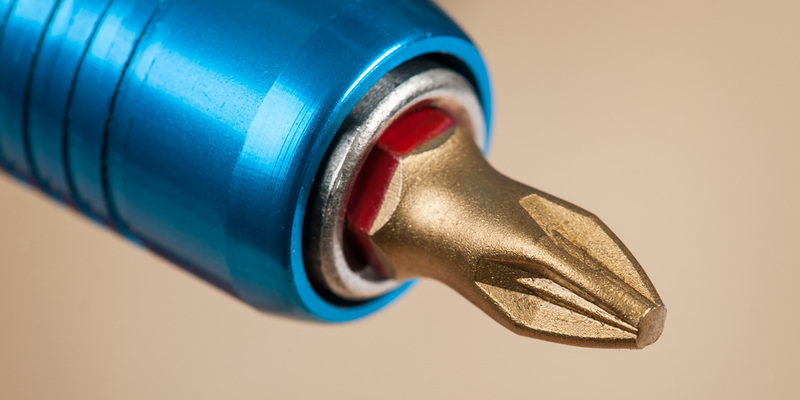 Philips screwdriver bits use a ‘star’ shaped recess in the head. They were developed for the automobile industry in the USA during the early part of the 20th century and are designed to be used with a specific torque before ‘cam out’ occurs. As such the screw or bolt can’t be over tightened. 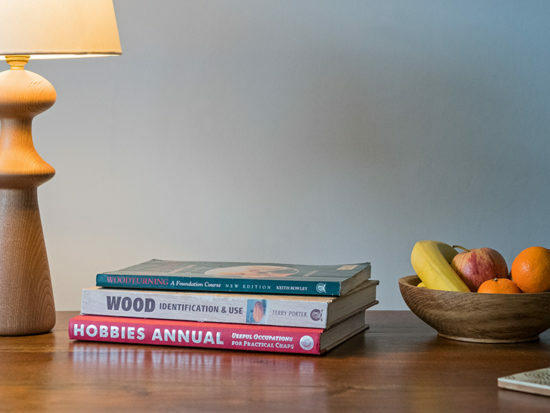 The Pozidrive is a development of the Philips head and is in very common use in workshops; trade, industry and the home. You can apply greater torque to the screw head before ‘cam out’ occurs. Another ‘star’ shaped recess, but here the driving lands within the head, parallel to the shank and the drill driver; as such the torque is applied more efficiently. The result is that ‘cam out’ is less likely to happen but a disadvantage of the torx system is that it becomes much easier to drive the screw too far into the wood. 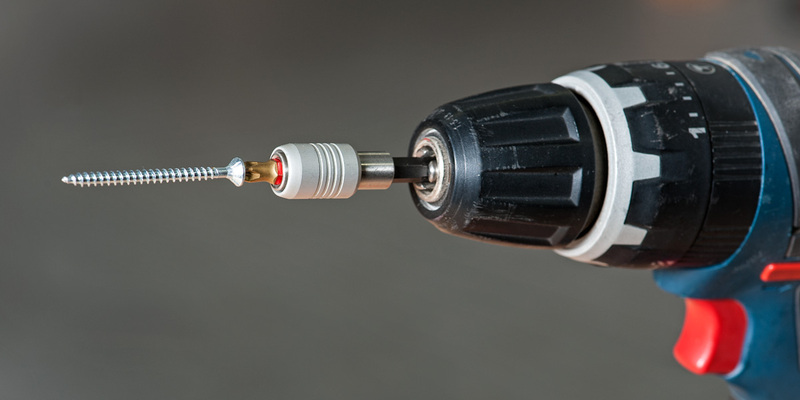 Apart from shearing the head of a screw, the other occurrence which happens occasionally is that the drill bit continues to turn for a few seconds once the screw is fully driven home. One of two things may result; firstly, the screw head will drive deeply below the surface or secondly, the thread strips. This is easily seen when the screw keeps turning but fails to have any ‘bite’ in the timber. 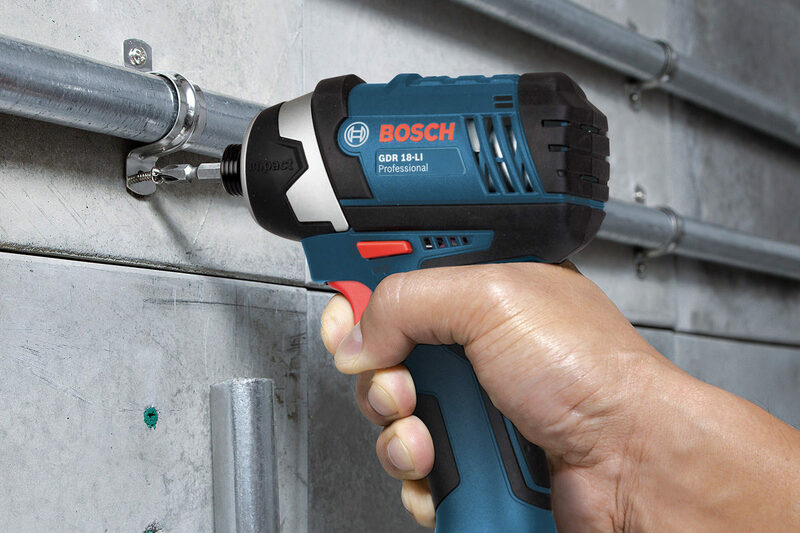 Fortunately, all drill drivers come with a sensitive clutch which you can adjust to suit the size of the screw as well as making an allowance for the type of timber. 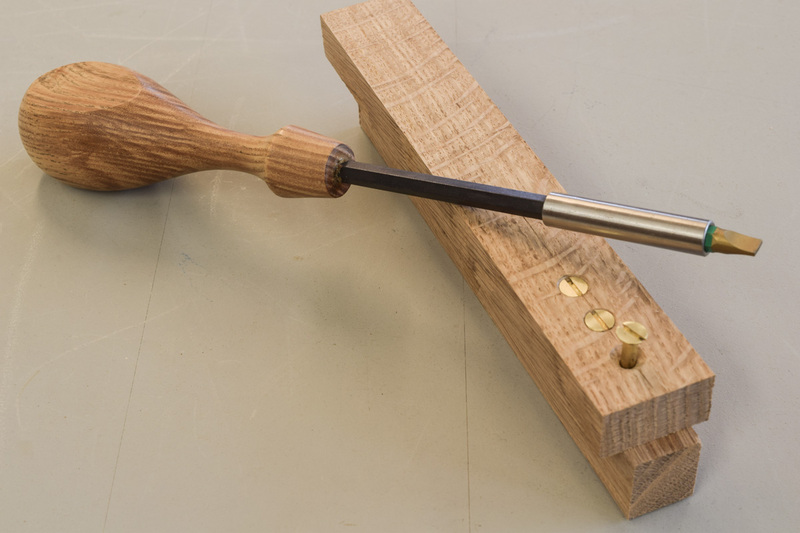 Thus, driving a 4x50mm screw into oak will require a high clutch setting and a lower one when driving into pine. Correct adjustment of the clutch also prevents unnecessary damage to the screw head driving lands. 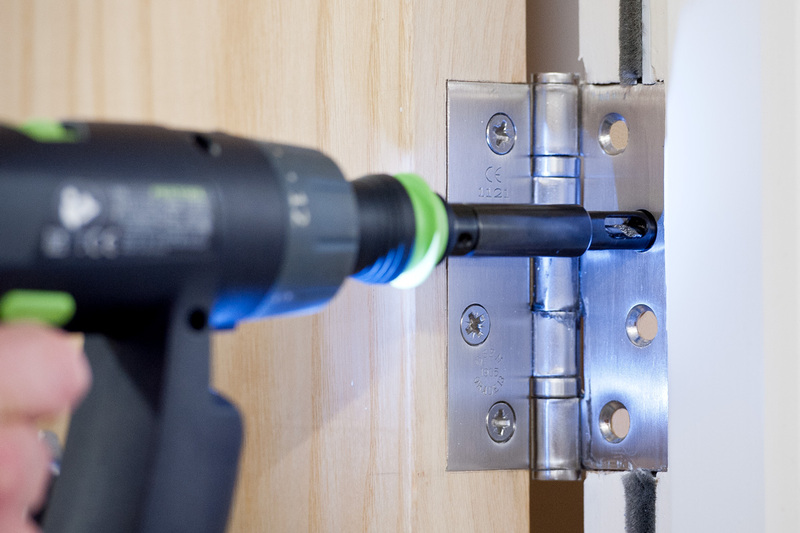 The magnetic bit holder is an indispensable accompaniment to any drill driver. It consists of a hexagonal steel bar, one end of which grips the chuck. The other end comes with a chrome steel cylinder into which any screwdriver bit will slot. A small magnet also prevents the bit from dropping out. Another advantage of the bit holder is that standard steel screws (not stainless) are also magnetised and will ‘stick’ to the end of the bit; a feature that’s particularly useful when working in confined spaces. Magnetic holders and screwdriver bits of all types are available in various lengths, meaning that you can use alternative combinations for different applications. 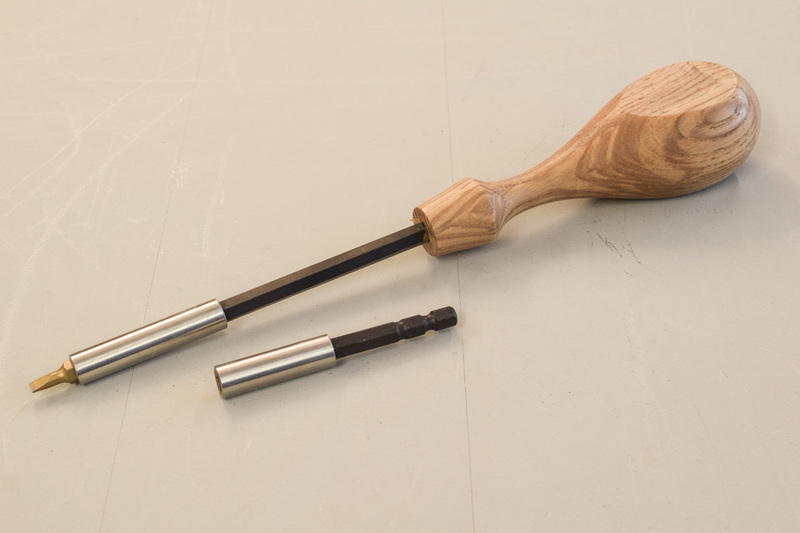 A screwdriver can also be made by fitting a bit holder into a turned wooden handle. This affords more control when you need to drive delicate brass slot screws precisely. 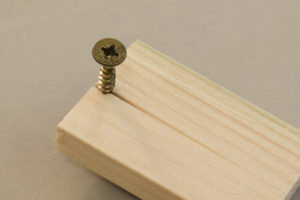 A screw acts a wedge when driven into timber, forcing the fibres apart, which can have undesirable consequences in some instances. 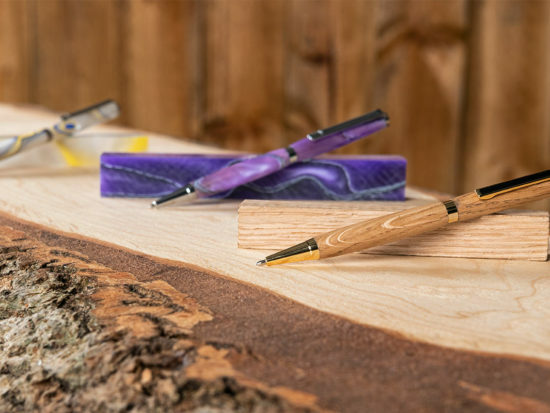 Using modern screws, such as the Woodspur range in pine and other easily worked timbers, this isn’t too problematic. 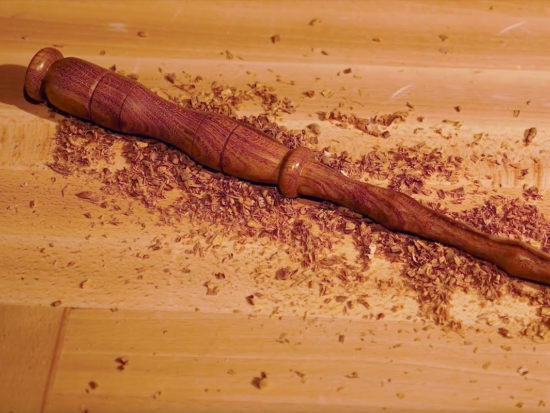 However, driving a large screw close to the end of a board is liable to cause it to split. The remedy is to drill a pilot or clearance hole which relieves the lateral pressure on the wood fibres as you drive the screw. When using much denser timbers, such as Oak, Beech or Sugar Maple, driving the screws becomes more difficult. There’s a chance that the screw head may shear unless you drill pilot and clearance holes. 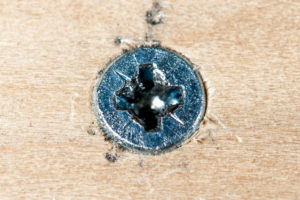 A hole drilled to locate and guide the screw allowing the threads to bite into the wood. For example, a 4mm screw should have a 2.5mm pilot hole. A hole drilled to allow the screw shank, including the thread, to pass through the wood. Thus a 4mm screw requires a 4.5mm clearance hole. Although Woodspur screws already have wax, extra lubrication such as a smear of candle wax makes them easier to drive, especially in harder timbers. The impact driver works in a radically different way to the combi though essentially it’s a powerful, fast, cordless drill. The main difference is that the impacting mechanism of the impact driver isn’t activated until the torque required to continue driving is greater than the torque generated by the rotational power of the motor itself. 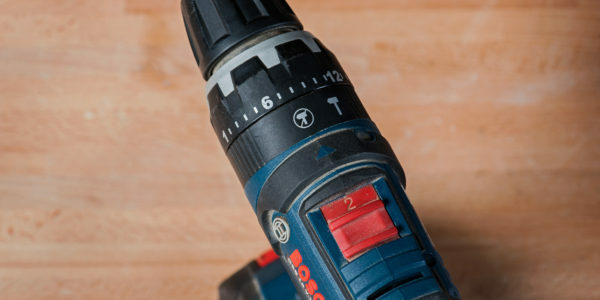 Continue reading on our Impact Driver Or Combi Drill? Buying Guide. 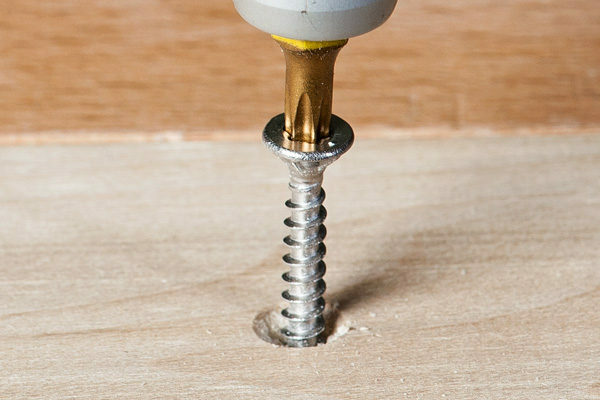 Screwing sheets of plasterboard to a wall requires special screws that drive precisely so that the top of the countersunk head is level with the surface of the board. 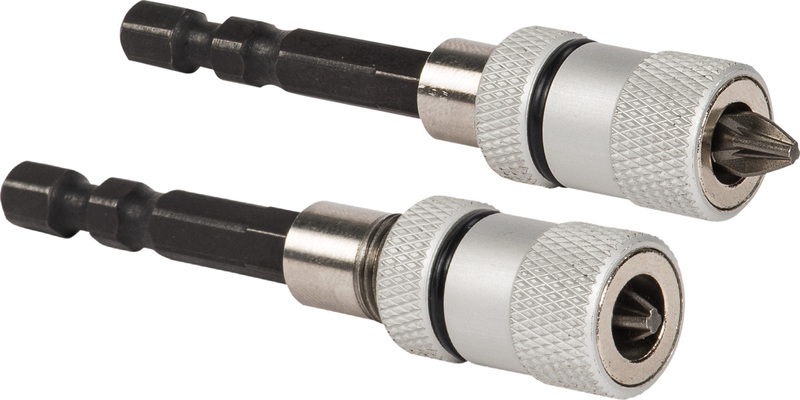 Professionals on site use drywall screwdrivers but where you’re only using a few screws a simple drywall screw adaptor or depth adjustable bit holder ensures they are set to the correct depth. Fitting hinges to a project is inherently awkward, more so because the slightest error in the pilot hole position results in the countersink pulling the hinge out of alignment when the screws are fully driven. This results in them being inserted crookedly. A hinge centering bit centering bit neatly overcomes the problem as the conical nose sits in the countersunk hole making it virtually impossible to drill anywhere other than in the exact centre. 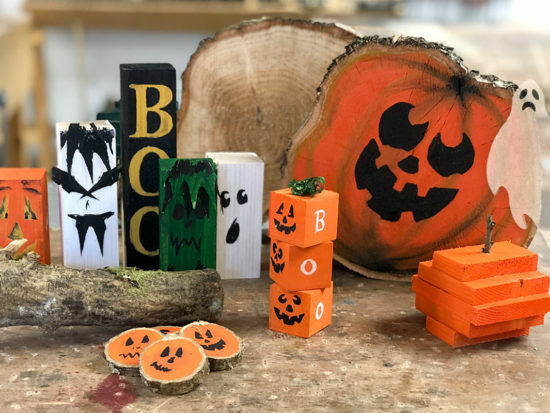 Using woodscrews is such a commonplace activity it’s easy to forget that there’s a huge amount of thought and development that goes into their manufacture. A few straightforward guidelines ensures that their use is trouble free, with the timely avoidance of a screw head shearing off.